Hey guys! 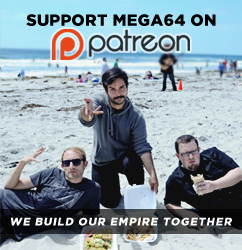 In this episode of the Mega64 podcast: With all the video game news in the last couple days we try to digest all that we have seen. Rocco reports back from the Playstation Experience and Derrick learns some disturbing news. Check it out! Audio version here. That's all for now, come back soon for a new video!